"I cannot persuade myself that a beneficent and omnipotent god would have designedly created the Ichneumonidae with the express intention of their feeding within the living body of caterpillars." --Charles Darwin, letter to Asa Gray, 1860. I wish I could say that my parents named me after Charles Robert Darwin (1809-1882) because they wanted to connect their firstborn, even if only through his middle name, to one of the greatest scientific minds who ever lived. Alas, my parents had many good qualities but love of science was not one of them. I think that of all things on earth my father loved baseball more than anything else and my mother loved serving Abraham's god, which for her meant serving her church and trying to live a Jesus-like existence. How much more fortunate could I get? My dad took me to my first major league baseball game on May 26, 1953. I can still see the ivy on the walls at Wrigley Field [though this memory may be false] and I have the souvenir program (cost 10¢) that tells me that we played the Cardinals and that Red Schoendienst hit a home run in the first inning and Stan Musial got a double in the fourth. Hank Sauer hit a homer in the seventh for us, but it wasn't enough. We lost 6-3. 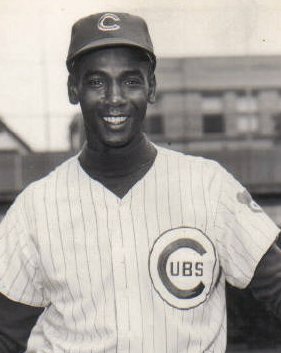 Later that season, the Cubs would bring up Ernie Banks to play shortstop and hit home runs. Banks was my first and last baseball hero. To Ernie Banks, every day was a nice day for a double-header. To a young kid from Illinois on his way to California the legend of Ernie Banks was something I could take with me wherever I went for the rest of my life. My childhood was a mixture of baseball and church. I’m sure there were other things that went on but mostly I remember baseball and church. I’m sure there is a lesson in the fact that now that I am a grandfather I have almost no interest in baseball and even less in churches. This is so even though I had nothing but good experiences playing baseball, and outside of boredom, have no tales to tell about abusive priests or nuns. It is just that other things came to interest me more and I came to realize that it is not true what the Irish say about god and time. He didn’t make enough of it for my purposes. On the other hand, the Irish are right when they say you'll be a long time dead. The researchers who did the study from which I culled most of the statistics mentioned in the previous paragraph think that the majority of Americans don’t accept evolution because of two factors: the politicization of science by a small but vocal group of Christian fundamentalists and our ignorance of biology, especially of genetics. I suppose it is easy for someone like me to accept evolution, even though I am not especially well versed in biology or genetics. About forty years ago I decided that one of the worst ideas any human being ever had was the one Saul of Tarsus had. St. Paul, as this Jewish tent salesman is now known, determined that the messiah promised to the Jews by their prophets was not going to be a king of Israel who would reestablish their kingdom over the land and smite their enemies, but would be a redeemer of everybody, Jew or not, and that this redemption took place by the god of Abraham becoming a man in the form of Jesus of Nazareth, who was sacrificed on the cross and suffered real human pain and died a real human death for the sins of mankind before resurrecting to Heaven. This story is so absurd and repulsive to me, and so obviously false, that I find it amazing that something like two billion people alive today accept it as true. A group of village idiots could sit around the campfire for a billion years and never come up with any story as preposterous as the Pauline Salvation Story. If I had to choose the worst idea ever, this one would be a leading candidate. I looked at some alternatives from other religions but none attracted me for very long. They all lacked the one thing a believer requires of his beliefs, namely, that they be believable. As far as I was concerned, all religious stories seemed to have come from minds like Daniel Paul Schreber (1842-1911), a delusional judge who thought he was being transformed into a woman to receive divine emanations. Also in the top three of the worst ideas ever would be the idea that a mind or spirit created the universe out of nothing. Given my belief that religious stories are little more than fairy tales, it is not surprising that I accept evolution. However, unlike Richard Dawkins who finds that evolution leads to atheism and provides a meaningful and coherent worldview for the atheist, I came to my atheism long before I thought much about evolution or studied the ideas of Charles Robert Darwin. I could imagine myself being an atheist and being completely ignorant of evolution without being bothered by not having a coherent understanding of why there is a universe or how it came to be what it is. I am sure that I would much rather admit ignorance and say I have no idea how the universe or the things in it came to be as they are than accept some childish story about a creator who designed it all. I think Spinoza had it right. He maintained that teleological thinking—thinking that the universe is designed and that everything in it has a specific purpose—represents the primitive thinking of our pre-scientific ancestors. The pursuit of “final causes” led nowhere in the quest to understand nature. Only when humankind gave up the anthropomorphic way of thinking—which understands the weather, geology, physics, and the like in terms of divine purposes—could progress in knowledge of nature be made. History has proved Spinoza right. Teleological theories, such as supernaturalism, are scientifically superfluous. On the other hand, I’ve heard several prominent atheistic scientists say they could accept Spinoza’s God. I can’t. Spinoza thought of God and Nature as one but as one substance with infinite attributes, of which we know only two: mind and body. I can’t think of nature as a substance with attributes, finite or infinite. I see no reason to think of the universe as a unity. That, too, is anthropomorphic and useless. In any case, I can’t understand how anyone can look at this universe and think it was designed by a mind. The universe we find ourselves in seems obviously to have come about by unplanned processes with no particular purpose in mind. Things just are. And the fact that we are alive and conscious today is the most amazing and wonderful thing imaginable. That Darwin and Wallace and the many others who came after them could come up with elegant and powerful explanations as to what processes were involved in the formation of species is a testament to the magnificent capability of the human mind. That so many people still prefer to believe in a fairy tale explanation for the origin of species is a testament to the power of affective and cognitive biases that continue to retard scientific and moral progress. I understand why the religious anti-evolutionists are trying to destroy the acceptance of evolution: the idea undermines their fairy tale view of the universe. In their view, an all-powerful deity created each species and each soul of each human. The deity set down rules to obey, and promises them eternal life in Heaven if they love and serve god by obeying the rules. If not, the deity promises them eternal suffering of unimaginable torments. This life is just a testing ground, so to speak. Real life begins when you die and your soul leaves your body for union with god or eternal damnation. If evolution is right, then humans are not special. We are just another species that evolved from other species. We are just animals and have no souls. If we have no souls, then we can’t live forever in blissful union with the creator or be tormented in Hell by his demons. This is all nonsense, of course. Human beings are very ingenious and can easily construct a story that allows both creation by a deity and evolution. I don’t think such stories are any more plausible than the religious creation myths that have been generated around the globe from time immemorial. But they can’t be ruled out as logically impossible. Such stories are just superfluous, except for satisfying the desire for immortality and for wanting one’s religion to have some merit. What I like about Darwinism and other scientific theories is that, on the one hand, they are not simplistic fairy tales that satisfy emotional needs or religious desires, while on the other hand, they provide elegant and powerful explanations of how species got where they are, why new species have evolved, why many species go extinct, why there are monsters and natural abortions, why there is so much symbiosis in nature, why most creatures just live and die, many of them winding up as meals for other creatures, and a million other things that a curious mind would inquire into. The many cruelties of nature seem clearly not the work of a benevolent intelligence. There is never any need to fall back on an appeal to miracles or mysteries regarding the will of some god. There are plenty of mysteries in nature, probably enough to outlast our species. But scientists try to solve them, not hold them up as icons of our ignorance or symbols of our subservience to a being we don’t understand. Another thing I like about Darwinism is the striking elegance and simplicity of the idea of natural selection. This beauty could never be appreciated by a Young Earth creationist because it must be seen against the backdrop of Deep Time. Conceiving time in millions or billions of years is unnatural. We think in terms of days or years. Try to imagine 2.5 billion years for one-celled creatures to evolve into multi-celled creatures. Or hundreds of millions of years to produce insects, birds, reptiles, and mammals. Or the six or seven millions of years for humans and chimps to have evolved from a common ancestor. All of these concepts defy our ordinary understanding of change and time. Anyone who thinks that the planet is only about 6,000 years old cannot even try to grasp Deep Time or evolution by natural selection, sexual selection, or any other means except maybe the fairy tale story of continuous divine intervention. I’m sorry, but the thought of considering the ancient chronicles of long-dead peoples as having anything relevant to say about modern science is just ludicrous. Especially gratifying is the way so many distinct disciplines reinforce the power of the idea of evolution. When facts from embryology, structural anatomy, genetics, paleontology, psychology, and other fields converge to support evolutionary biology, that latter discipline’s foundation is mightily strengthened. Finally, I find Darwinism much more relevant for moral progress than any sacred text. Evolutionary biology teaches us that we are a species that has survived and flourished in part because of our social nature and because of our complex emotional system, which includes the ability to sympathize and empathize with other members of our own species and with creatures like us. Evolution favors cooperation and a natural sense of fairness. Not only do we not need religion for morality, we are better off with a natural morality based on something like utility than with some inane list of toevah practices (abominations) like one finds in various places of the Hebrew scriptures. Any human being who tells you that we can’t live by man’s rules and must live only by some god’s rules is a dangerous person. By god’s rules he can only mean the rules of his religion’s sacred books, which are most likely thousands of years old and have nothing of moral interest in them that we could not figure out ourselves—do we really need the Torah to tell us that it is wrong to commit murder? The Bible isn’t going to guide you on issues like abortion, capital punishment, proper treatment of children or your fellow man and woman, or cheating on your SATs. Any moral code that systematically denies people a chance at happiness solely on the grounds that some desert tribe thousands of years ago considered a practice taboo isn't worthy of our respect. Anything you and I need to figure out we can do so using our feelings and our brains. When we disagree, the last thing we should do is call in some guy who thinks it’s immoral to eat pork or to trim his fingernails or beard because his ancestors thousands of years ago thought so. Note: The data regarding scientific literacy is from a paper by Jon D. Miller that was presented to the 2007 annual meeting of the American Association for the Advancement of Science (February 16, 2007, San Francisco, California). Professor Miller's paper includes a discussion of the methodology used to measure scientific literacy. He was kind enough to send me a copy and inform me that the paper is being prepared for publication.